Austrian retailer Merkur, a subsidiary of the German Rewe Group, has announced the extension of its range of ‘green’ products Immer Grun (Always Green), introducing cleaning products that are claimed to be suitable for families with babies and young children. According to European Supermarket Magazine, laundry products such as fabric softeners, washing detergents and powders are now available under the brand. The products are described as being kind to sensitive skin, so they are suitable for babies and children but they are also said to be effective against lactic acid. 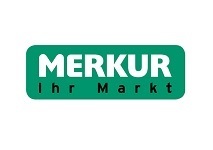 For each product purchased in the Immer Grun range, Merkur said it would also donate €0.01 to Rewe’s environmental foundation Bluhendes Osterreich (Blooming Austria).